See guest artist Salt in live, narrated demonstrations in the Amphitheater Hot Shop on September 3 and 4 from 10 am to 12 pm and 1 to 4 pm. Salt is a flameworking artist who began his career in 2001 in his hometown of Austin, Texas. 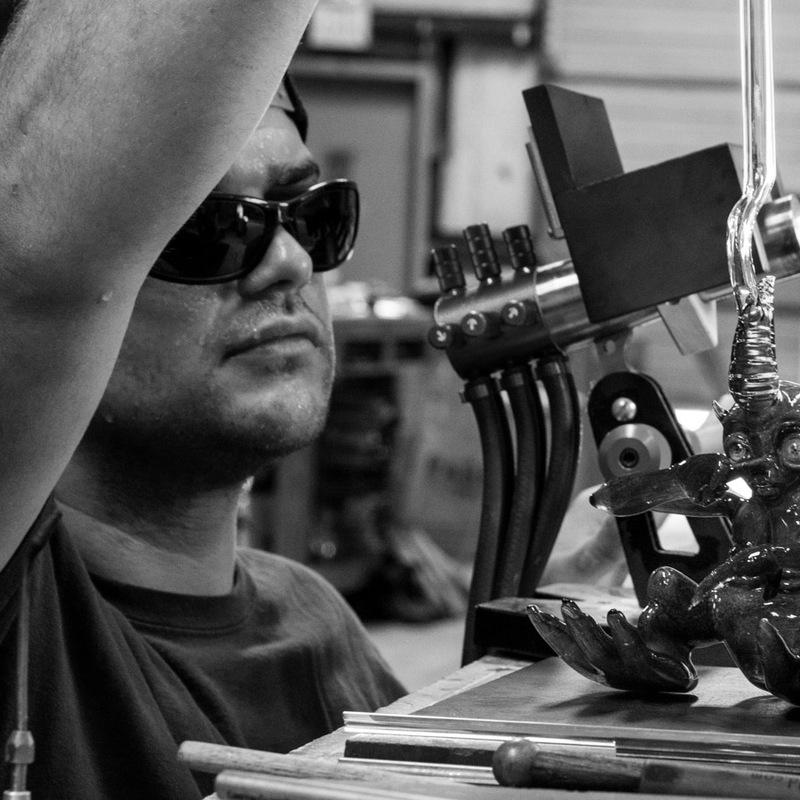 Since then, he’s pioneered, developed, and refined a sculptural approach to flameworking. He’s been featured countless mainstream and glass industry-based publications. His “Salt style” pieces can be found in collections worldwide. Salt began his flameworking career in 2001 in his hometown of Austin, Texas.